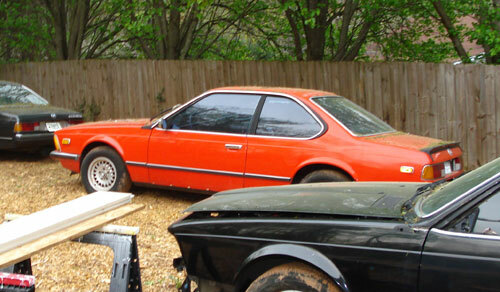 Two Aprils ago, I sold my white ’86 BMW 635CSi. It wasn’t a bad car; far from it—I enjoyed it greatly and miss it very much, even now. Cramped rear seat access impractical for our growing family. Marginal rustproofing made me a nervous owner driving in the winter slush. The car was my daily driver, and as such I would never be able to give it the attention it needed, since everything had to be buttoned back up for the next morning’s commute. The US-spec “diving board” bumpers. They murdered the lines of the car and their black expanses of rubber contrasted with the white to make the car look very much like a Star Wars Stormtrooper. Before I sold it, I made a last attempt to “save” it by selling it in favor of another E24 6-series “Shark” that addressed at least a couple of the issues noted above. My hope was that my car’s new owner would live in an area of the country where salty roads in winter weren’t an issue, or at least perhaps the car wouldn’t be a daily driver, saving some wear and tear and allowing the new owner to take the time to dig into it and rectify its flaws. Meanwhile, I would “leapfrog” a few of my car’s issues by acquiring a car without them, and in the future get my hands on an econobox for daily duty, finally giving the E24 the repose and chance for “big fixes” it needed. So during the fading months of ’09 and the early part of ’10, I continually had my feelers out for a non-white, Euro-spec-bumpered E24 to replace my example. During the early part of December, the car shown at top appeared on an online classifieds site. It was non-white, obviously, and a gray-market Euro-spec E24 with the lovely, thin bumpers. The engine in the car was interesting as well: A 2.8l version of my car’s 3.4l engine. You’d think it would be a step down in power, but actually, the lack of emissions controls and higher compression of the Euro-spec engine meant power levels were actually very similar. And that particular engine displacement was never offered by the factory in the US, either. 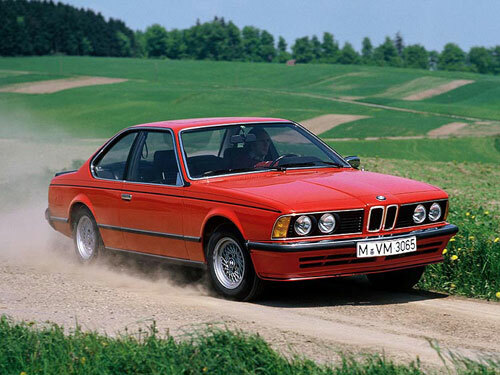 It was an ’82 628CSi 5-speed in Henna Red, to this day one of my favorite colors for an E24. There were a few issues: A bit of rust here and there, the interior was trashed and the engine ran rough. That said, the seller was motivated by his need for a fully operational car (mine was) and just wanted to get rid of it. He was amenable to a straight-up trade, and even willing to deliver the car and let me swap my car’s decent interior over. How could I refuse? I didn’t refuse; indeed, I tried for a good month to make the deal work out. The seller, however, was in and out of the hospital with health issues and generally unresponsive, whether through e-mail or by phone. It took me three weeks just to get him to send me the picture at top, the only one I have of the car. The seller’s “camera was broken,” apparently, and resisted all attempts at being fixed for quite some time. I was disappointed it didn’t work out. I held on for a time, and had visions of restoring it to the glorious state shown above. But after two months of back-and-forth, asking the same questions over and over again and getting nowhere, it was clear it wasn’t going to happen, and I had to cut my time losses and back out. The seller did contact me a couple of months later, asking if I was still interested, but by that time my head had cleared and I realized it probably wasn’t the best move for our family at that time anyway. I still have a desire for a Euro-spec E24. It’s just a shame it wasn’t the Henna Shark.